Earlier this week I attended the Ageism and Sexism in the Media event, hosted by the New Dynamics of Ageing (NDA) and Age UK. It was a fantastic event, with great speakers, and the aim was to ‘focus public attention on how older people, particularly women, are portrayed in the media’. The event was attended by over 80 delegates from a variety of backgrounds (higher education, service provision, voluntary groups, and private practice) demonstrating the level of interest in this topic. The objectives, expected outcomes and event programme can be found here. As the event coincided with me starting a blog, I thought it would make a great piece for my first post, so here’s a summary of the day. Miriam O’Reilly chaired the event, opening with a very inspirational speech. She spoke powerfully about how women’s worth is measured by youth and how TV plays a large part in that. However, she cautioned that ageism and sexism were problems across the visual media. 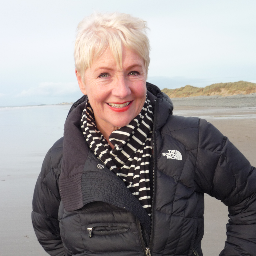 Miriam also (briefly) mentioned her own experiences with the BBC (she took them to tribunal for unfair dismissal based on age and won – read about it here), and the psychological impact that followed: it embedded in her a fear of ageing she had not felt before. She ended her speech by arguing that sexism was ‘rife’ within the British media, and cautioned that because “TV is most people’s window to the world” we must challenge negative representations of older women. Michelle Mitchell (Charity Director General of Age UK) followed, and her presentation focused on the ways that the media reinforced negative and inaccurate views of older people. She gave the example of the dominant narrative “the demographic time-bomb” which works to inform us that “older people are a burden”. Misrepresentation of ageing in the media was a theme running through all of the presentations and Professor Alan Walker (Director of NDA) warned that the reality that ageing is a continual process tends not to be acknowledged. Professor Ros Jennings (Director of the Centre for Women, Ageing and Media) focused her presentation on the absence of positive role models of older women in the media. She discussed how there was a tendency in TV and film to reduce older women to negative stereotypes or functions (e.g. the care providing grandma) and questioned the messages this gave to younger women. Ross also argued about celebrity physical appearance; that “Women are sold the delusion of successful ageing, and given a lifetime’s work of aspiring to something they won’t achieve”. She ended her presentation by asserting that research on ageism and sexism should be recognised as a form of activism. Dr Lorna Warren (Representing Ageing, Representing Self project lead) gave the final presentation and spoke about the ways that visual representations of older women in the media portray them in very specific ways. Of the many images she showed, a very harrowing one was of a French advertisement for wall paint, where an image of sagging breasts was used to sell “paint that will age well” and thus warn against buying a product that won’t. In my opinion, with images and messages that devalue the ageing female body in such a way there is no surprise that the women in her project (like many other women in western societies) experience ageing at “the site of the body”. The event ended with a panel discussion where the speakers were joined by Mary Anne Sieghart (Founder of Women in Journalism) who spoke openly about her own experiences as a journalist, and subsequent ageism as she returned fully to work in her mid 40s after raising a family. All speakers were passionate about their topic and an inspiration to listen to. I really enjoyed the event (ageing femininities and sexualities is a topic close to my heart) and going on the Tweets (#ageismsexismmedia) and audience discussions, so did the other delegates. The only criticism is that we ran over time and I had to leave before the end so as not to miss my train! Sharron, may I offer you my congratulations on your new website and your first blog post on the ageism and sexism in the media event, which I hope will be the first in a long line….